Who does the child become? Dr. Mark Tunbridge holds a PhD (UCT, 2001) & post-doctoral internship in Clinical Psychology, completed through Royal Columbian Hospital - Adult Psychiatry & Tri-Cities Child & Youth Mental Health Services, Vancouver, Canada (2002/3). His North American experience provided formal supervised training in Psycho-diagnosis, Psychotherapy and Clinical Neuropsychology with adults, adolescents and children. In 2004, he scored in the top 15% for PhD candidates in the North American Examination for Professional Practice in Psychology. He is an accredited Full Member (Reg. No. 602) of the South African Clinical Neuropsychological Association (click on www.sacna.co.za for access to SACNA’s website). He also holds two Masters Degrees in Educational Psychology (University of Johannesburg, 1996; WITS, 1994) and, since 1997, has been registered as an educational psychologist with the Health Professions Council of South Africa (Reg. No. PS 0056200). 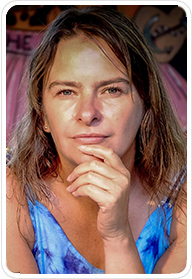 From 1997 to 2001, Dr. Tunbridge was founder and clinical director of the Child & Family Guidance Clinic, Cape Town, providing specialist psychology services for children, adolescents and their families. He is also founder and director of Context Consulting (PTY) Ltd, currently delivering social psychology services to corporate and community organisations. Dr. Mark Tunbridge has over 18 years of experience as a psychotherapist, counsellor, psychological evaluator (including medico-legal assessment), coach, mediator, trainer and researcher - working with people from diverse cultural backgrounds in South Africa, Malawi and North America. He has lectured in psychological assessment at the University of Johannesburg at the post-graduate level, and has been guest lecturer in community health at the College of Medicine, University of Malawi, and in forensic psychology at the Department of Psychology, University of Cape Town. Currently, Dr. Mark Tunbridge specializes in clinical psychological assessment (including clinical diagnosis, educational, career, emotional, neuropsychological, medico-legal) with adults, children and teens. Moreover he provides specialist psychotherapy, counselling and coaching for a wide range of clinical disorders and adjustment difficulties. His therapeutic orientation focuses on assisting children, youth, families, adults and couples in overcoming their life challenges and reaching their full psychological potential for complete well-being. He integrates the therapeutic strengths of cognitive-behavioural therapy (CBT), psychoanalytic therapy, narrative therapy as well as coaching methods. 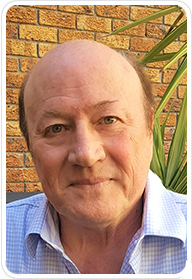 With over 18 years of full time clinical experience with a wide range of clients on two continents, he integrates the therapeutic strengths of these well researched and effective therapeutic methods. Dr. Mark Tunbridge provides informed, experienced and creative assessment, treatment and intervention plans tailor made for each person’s special needs to ensure best therapeutic results. Melissa is a registered Educational Psychologist (PS 0117528). Melissa completed her pre and postgraduate studies at Stellenbosch University obtaining the following qualifications: B.Ed. Psych Honours, Post Graduate Certificate in Education and BA Social Dynamics (Psychology & Sociology). Melissa is also an associate member of the South African Clinical Neuropsychological Association (Membership No. 1155). After qualifying as a high school educator, school counsellor and registered psychometrist, Melissa worked at Rustenburg Girls’ High School in Rondebosch Cape Town as school counsellor and life orientation educator, which led to a particular interest in adolescent mental health and adolescents’ relationship with peers and parents. Melissa was also selected as a volunteer counsellor at Lifeline/Childline Cape Town. 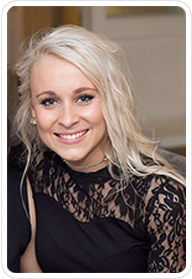 Melissa went on to successfully complete the University of the Free State’s Masters programme in applied psychology, which integrated educational, clinical and counselling psychology principles and applications. Resulting in the acquisition of broader knowledge and practice in the field of psychology. The completion of her internship also took place at the University of the Free State in Bloemfontein, working at various mainstream schools, special needs schools, and a drug rehabilitation centre in and around Bloemfontein as well as at the university Student Counselling Centre. Her research focus has involved adolescents’ experience of the formation of relationships on MXit (MXit is a type of CMC- Computer Mediated Communication), and she has a particular affinity with the needs of children and youth in the 21st Century. Melissa draws eclectically from a range of therapeutic modalities in order to suit the unique needs of each individual and speaks both fluent English and Afrikaans. She provides individual psychotherapy, counselling, psychological assessment and career guidance with children, adolescents and adults. Andrew is a registered Clinical Psychologist (HPCSA No. PS 0124745). He graduated with a Master’s degree in Clinical Psychology, MSc (ClinPsych) from the University of Limpopo. Andrew completed his internship in Cape Town at Tygerberg and Stikland hospitals where he received in-depth training in neurocognitive assessment, psychodynamic and CBT based interventions. He then completed his community service in Kwa-Zulu Natal where he was required to provide psychotherapy and assessment services within a multicultural setting to a variety of age ranges. Since then Andrew has spent time in New Zealand, employed by the Department of Corrections. Here, he provided psychotherapeutic interventions as well as related assessment for Medium to High risk offenders in both prisoner and post-sentence populations. 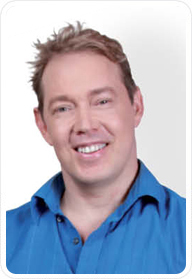 Prior to relocating to Cape Town and joining Dr Mark Tunbridge and Associates, Andrew was in private practice in Pretoria. While working in private practice, Andrew was also employed by the University of Pretoria as Senior Counsellor on the Medical campus where he was required to assist with mental health problems and provide input with regards to career and study difficulties. He has also worked within the corporate sphere with regards to communications training, team effectiveness facilitation and conflict resolution. Andrew works with young people, adults and couples – in a counselling and psychotherapeutic capacity, as well as provides psychological assessment services. 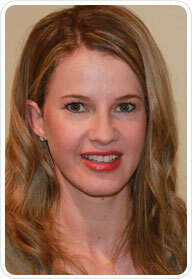 Colleen Thiel is a registered Counselling Psychologist (HPCSA Reg. No. 0095095), who works with adults, children, youth, families and couples, providing treatment and assessments for a range of different psychological disorders and difficulties. Colleen completed her internship at the Stellenbosch Provincial Hospital. The topic of her thesis was “Resilience in families of husbands with prostate cancer”, which has since been published extensively. During her research she acquired extensive knowledge of family systems, and honed specialized therapeutic skills when working with families experiencing difficulties. Since completing her Master’s degree in Counselling Psychology at Stellenbosch University in 2006, Colleen has gained in-depth experience in her field over her 12 years of active therapeutic practice, including private practice since 2006. She was also employed as a Psychologist by the Department of Corrections in New Zealand for the duration of 7 years. Here, her work involved psychological and risk assessments, individual and group treatment, as well as the training and supervision of programme facilitators. In addition, she developed and presented workshops to prison and probation staff on managing offenders’ challenging behaviours. Working with high risk offenders offered her the opportunity to work closely with complex mental health difficulties. 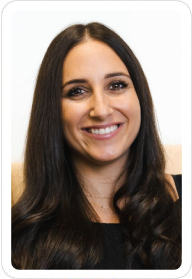 Her experience in private practice includes assessment and treatment of children, adolescents, adults, couples and families with various presenting problems. Her experience in psychological assessment includes: psycho-educational, personality, risk, and neuropsychological assessment. Areas of particular interest and experience include anxiety, depression, relationship difficulties, problems relating to sexuality and intimacy, existential crises, trauma and grief, eating and other addictive disorders. Her therapeutic orientation is rooted in Person-Centered Therapy, drawing on techniques from Cognitive Behavioural Therapy, Mindfulness-Based Stress Reduction, and other Interdisciplinary Techniques - depending on the presenting problem and special client needs. These techniques always occur in collaboration with her clients’ needs for optimal therapeutic outcome. André is a Registered Clinical Psychologist (HPCSA No. PS 0023167). He graduated with a Master’s Degree in Clinical Psychology, M.A. (ClinPsych) from the University of Port Elizabeth. André works with adults, youth, children, families and couples – for both psychotherapeutic and counselling purposes, including comprehensive psychological assessments. André has a broad range of experience in a vast array of clinical fields. Over the years, he worked in clinics, hospitals and crisis centres, as well as featured as a resident psychologist on a local radio station. In addition to André’s experience in mainstream Clinical Psychology, he enjoyed a four year tenure at PWC, where he developed his skills and expertise as a management consultant. During this time he developed training courses in self-management, communication, as well as providing specific management training. André has been in Private Practice in Sea Point for over twenty years. He’s worked at Dr. Mark Tunbridge & Associates for the past two years, conducting Clinical Psychotherapy as well as Medico-Legal Assessments - he has extensive experience in both. 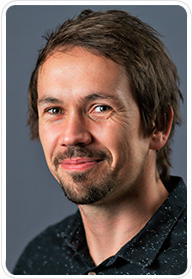 André largely adopts a Cognitive Behavioural Therapeutic (CBT) approach to therapy, as well as incorporates a broader range of approaches as clients’ best needs require. His therapeutic philosophy is to empower through skills acquisition, so that clients take active mastery/agency for their personal wellbeing. Through various therapeutic techniques, he enables his clients to implement their full psychological potential over time, as best fits each client’s specific situational needs. Jamie Brink is a registered Psychometrist with the Health Professions Council of South Africa (HPCSA No. PMT 0094463). She completed her under-graduate studies at Stellenbosch University and her post-graduate qualification through UNISA. Jamie functions as joint head of the Psychometrics department at Dr. Mark Tunbridge and Associates. Rio Widan holds a Masters Research Psychology degree (M.A. Psych). She completed her undergraduate studies at UCT, while her Honours and Masters qualifications were obtained through Stellenbosch University (SU). Her postgraduate research focused on resilience factors associated with adaptation among single-parent families. Rio is joint head of the Psychometry department at Dr. Mark Tunbridge & Associates.